Bewitched TV Guide. 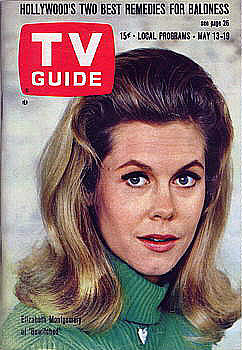 1966 TV Guide with Elizabeth Montgomery on cover.. Wallpaper and background images in the Bewitched club tagged: elizabeth montgomery bewitched samantha stevens collectibles..
Keyword: elizabeth montgomery, bewitched, samantha stevens, collectibles. This Bewitched fan art might contain portrait, headshot, closeup, anime, comic book, manga, and cartoon.